Posted on November 29, 2016 at 1:47 pm. A Framework will be established by the Australian Government, but is it missing the mark? 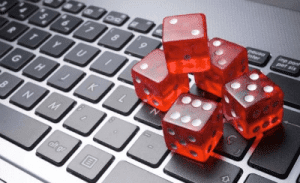 A National Consumer Protection Framework for online gambling will be established after the government reached an agreement with state and territory ministers yesterday. This Framework is a response to recommendations by former New South Wales Premier, Barry O’Farrell, in his review of Illegal Offshore Wagering which states there’s inconsistencies in consumer protection for Australians wagering online. This Framework is the second stage to the Government’s plans of implementing the O’Farrell Review, but it doesn’t seem to coordinate with the amendments to the Interactive Gambling Act (IGA) 2001. These changes in the legislation make it illegal for overseas casinos to offer gambling products to Australians without a state or territory licence but the fifth strategy listed above then becomes void. Regardless, Mr Tudge believes the agreement by the Ministers in Melbourne yesterday was an important turning point. “The O’Farrell Review found that our current consumer protections are weak and considerably below best practice,” he said. “These practical initiatives that we have agreed today are aimed at reducing problem gambling, largely by giving people better information and tools to control their expenditure. “A national self-exclusion register will be particularly important to help people who know they are starting to get themselves into trouble. The Framework has been created to minimise harm for those who may not be able to enjoy the casual punt. But the amendments to the Interactive Gambling Act don’t line up with the Framework – especially the amendment making it illegal for offshore casinos to offer their games to Australians – leading us to believe the Framework applies more so to bookmakers based in Australia rather than offshore gambling. This shows the lack of knowledge ministers have on the industry and the response is perhaps uninformed – especially given players have the ability to place a time limit on the length of time eligible to gamble at secure online casinos based overseas. If you are an Australian player, know you can still play for real money at online offshore casino sites at present time. We recommend checking out Raging Bull Casino, one of our top reviewed online casinos which still fully accepts AUD bets and Aussie players without hassle.